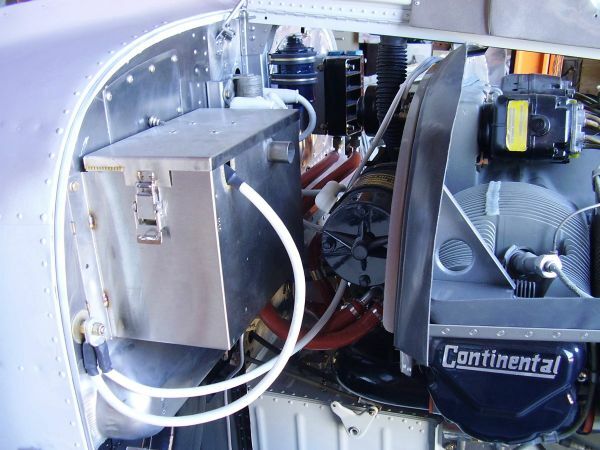 Bonanza engine installation | 891JH | AVSTAR Aircraft of Washington, Inc.
We are installing an IO-470 that is essentially 0 SMOH. 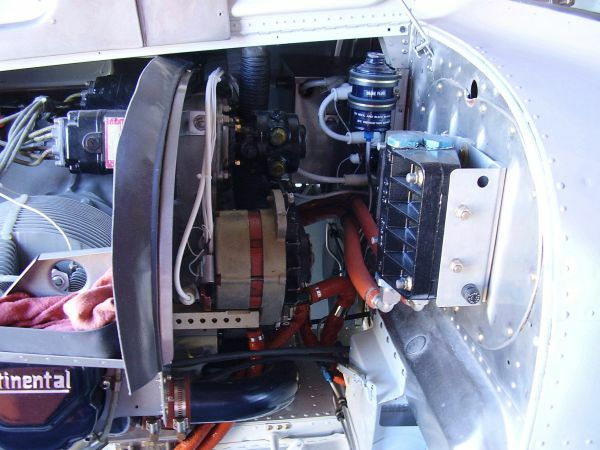 We went with the D’Shannon baffle system, ADC oil filter, PCU-5000 governor, and an Interav alternator. Note the paint co-ordination. We finally decided on the colors for the bird; it is an off-white/bluish for the basic color; the trim colors are 2000 Dodge Durango Platinum, and 2001 Ford Mustang Blue, both naturally metallic. 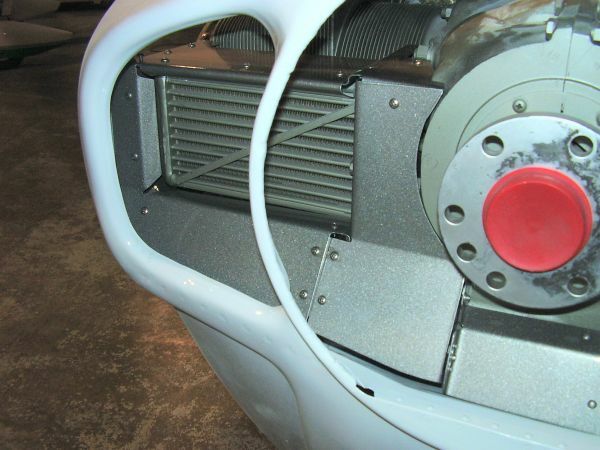 We detailed intake runners, rocker covers, engine mounts, etc., with the trim colors, and special ordered the baffles in our platinum. Remember, good looks are important! 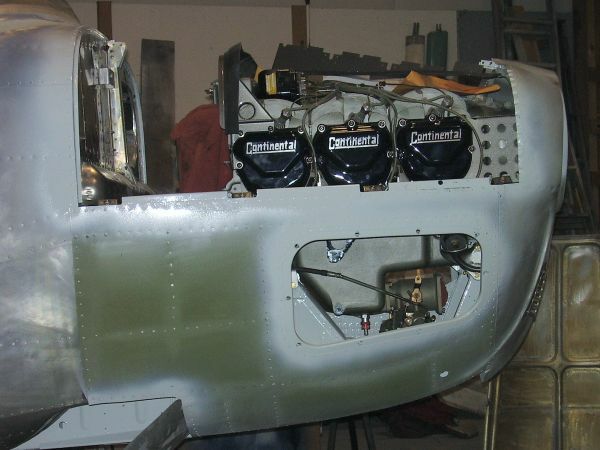 Engine set into position, baffles starting to be installed. 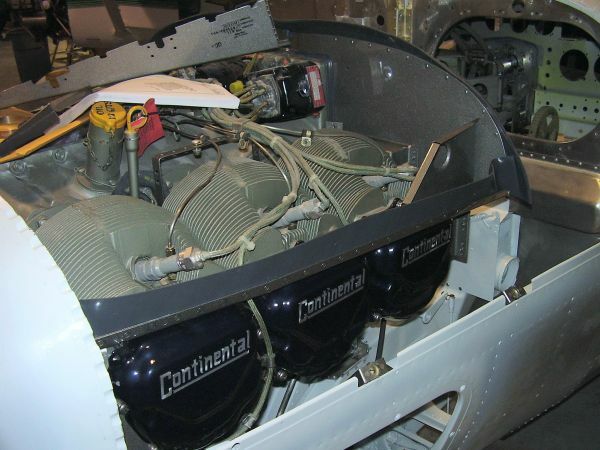 The D’Shannon Baffles are truly a system, note the panel on the upper cowl door for the seal to gently rest on for an air-tight fit. 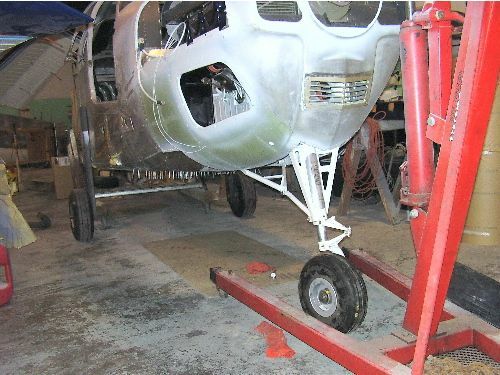 With the big parts getting installed, the frame we had supporting the fuselage was not looking good, so we installed the ‘grasshopper legs’ at the rear spar, and installed our nose gear. Much better sleep at night now! 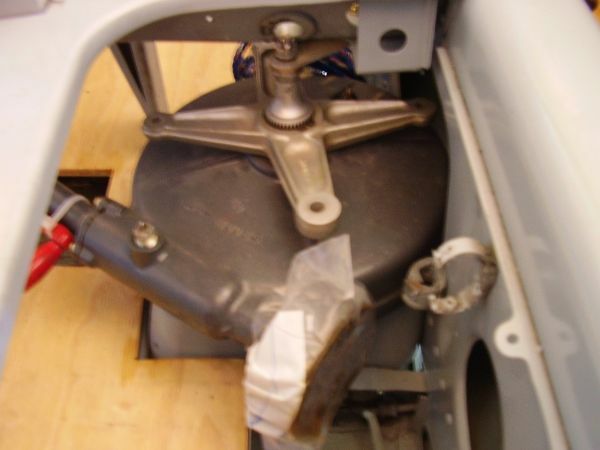 Of course, the nose gear needed to stay down and locked, so the landing gear transmission was installed after overhaul. 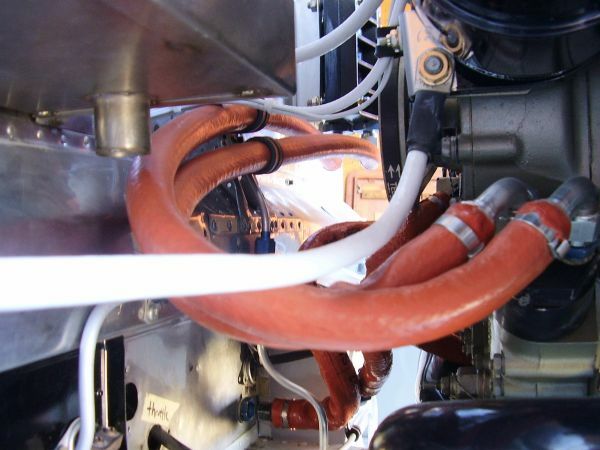 Installation details of the alternator, remote oil filter, all new wiring and hoses. 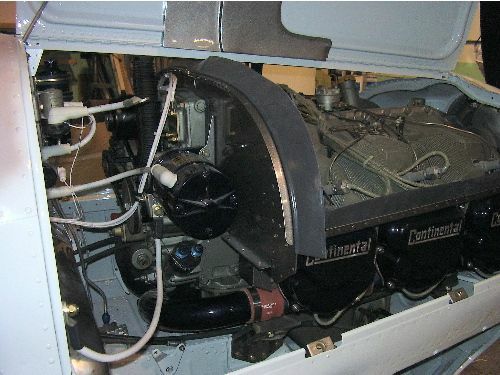 I’d say the business end is shaping up nicely. 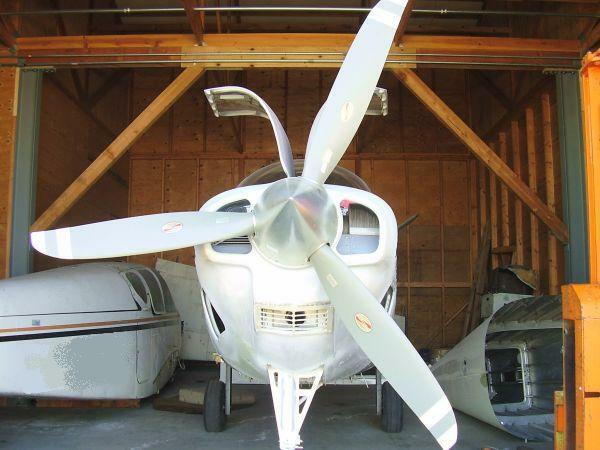 This is the Hartzell Super Scimitar propeller, from Beryl D’Shannon Aviation.